Back at the very beginning of Neopenda, Sona and I competed in the Venture Competition at Columbia University, where we were attending school together at the time. The competition had a specific track for “global technology”, which is fantastic. We were awarded $10,000 to continue to pursue our concept. The idea was very early stage, but I think they saw that we were addressing a severely unmet need and on the right track with our user research and product development so far. Did you know that you wanted to do something entrepreneurial after school? I didn't go into the master's program expecting to start a company or anything. That was definitely a surprise. My background is all in engineering, and I didn't really know much about the business side at the beginning. But you know, Sona and I have learned a lot along the way. I love being able to do so many things. I get to learn in so many new areas. Not just engineering, but I get to design, do some marketing work, and all these other new things that are really interesting. Knowing what I know now, I wouldn't trade building a start-up for working for a big company. Rather than being a cog in a big machine, we're able to really own something from the ground up and create something from scratch, which is really exciting. We're building something that's going to be saving lives, and we're going out into the field to meet nurses that are going to be using this. It's just a really, really special thing to be able to do this. When you succeed, how is the world going to be different? Wow, big question. 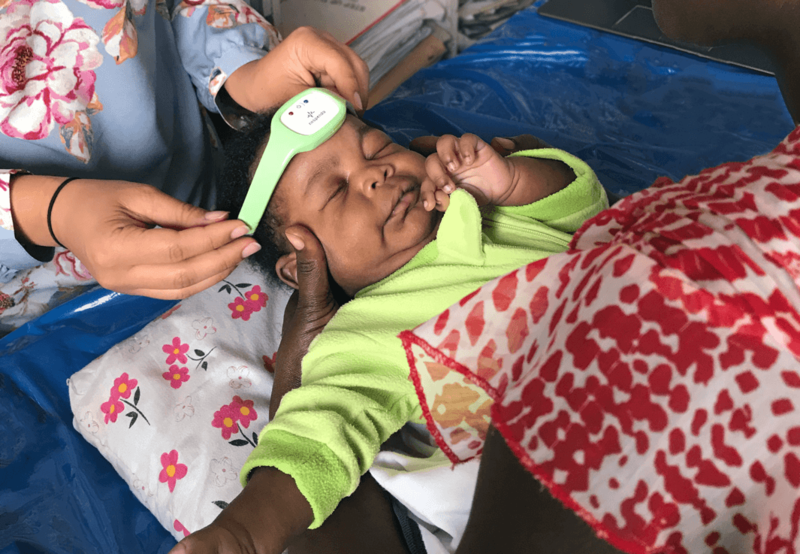 There's a lot of effort around improving newborn health and improving care in low-resource facilities right now, and we see ourselves as fitting into that larger global effort. In fact, we're working closely under one of the the United Nation's (UN) sustainable development goals. If you think about the new Apple Watches and Fitbits coming out, they are increasingly affordable, and have really sophisticated monitoring capabilities that have a huge impact on people's lives. We see this as an opportunity to take those wireless technologies, get the costs down, and make them even more impactful, putting them in places and devices where they could be saving more lives. What’s your secret source of strength? I'm really inspired by our partners in Uganda, and the people we work with. I'm going back to Uganda next week. I know that just being back in the hospital and talking to the nurses is going to reinvigorate the passion of why we're doing what we're doing. What's one memory that's stuck with you from your travels? Going into the NICU in national referral hospital in Uganda for the first time has really stuck with me. It was just overwhelming—so many babies everywhere, overworked nurses running around trying to do their jobs, and broken medical equipment stacked in the corners. Being exposed to the disparities in resources in different parts of the world, and to different cultures and people, has really expanded my perspective and my sense of purpose as a biomedical engineer and as a human. There's no such thing as a typical day. It kind of depends on what our focus is with the company. I do a lot of different things every day. Lately, I've been working a lot with our regulatory consultant. Other days, I might be talking with our product development team, who is doing some hard work right now. Sometimes it's working on some engineering for a couple hours, and then working out some things like manufacturing. Sometimes I'm traveling out to New York. We have a lot of advisors and mentors out there. We also have clinical trials going right now in Boston. It's also been a lot of catching up on things like social media, managing our public campaign, or meeting with Sona, talking about the larger strategy and things like that. It's really pretty eclectic which is cool. It can definitely be overwhelming but it keeps things interesting. Do you follow any unusual routines? There's an eight hour time difference with Uganda, so we often have our team meetings at 7:00 or 8:00 in the morning. That's a pretty early start for at least a couple days a week. I definitely try to take a little time to to unplug from from work. I usually listen to some random interesting podcasts on the way to the office, but nothing too weird or unique. What are three things you can’t live without (other than your laptop and phone)? Definitely my camera. I like taking pictures. Maybe a coffee maker, because I drink a whole lot of coffee. And of course, my passport. Why did you decide to raise from the crowd? I think our mission really speaks to people. We have folks who have been supporters for a long time, or who need us, and are really interested in what we're doing and are like, "Oh, you know we want to contribute, but it'd be in the smaller outer range." And as you know, you can't manage a million investors, so crowdfunding is a really great way to bring all those people together in one place and in one concentrated effort. It's been really great to be able to reach out to our larger network as well as to reach an even larger network Republic provides. We actually did a Kickstarter way back in the beginning, and that was really really cool because it helped us grow our initial network of supporters substantially. That was a couple years ago, and now what we're seeing with at this stage, is that the network is growing even more — exponentially, even. So it's really about bringing people into our journey and showing them our vision what it's all about and inviting them to be a part of it. If you succeed, how big do you believe your company can become? We're going to be a major player in the medical devices for emerging markets category. There's no one who's really serving these specific markets and designing things appropriate for them. These markets are growing really fast, and it's a really interesting time with a lot of opportunity for a sustainable company to emerge, so I see us really becoming a key player in that way. This all comes with the added perk of being part of a greater effort to save lives. If you never had to work another day in your life, what would you do? Why? I would travel the world, and then I would probably go back and work anyway. I would just want to create more products to solve even bigger things. When you're not working on Neopenda, what do you enjoy doing? family is all on the West Coast, so I travel often to see everybody. What are a few books you recommend everyone read? Why? I'm going to recommend some of my fiction favorites. I read a lot of nonfiction, but I think fiction is a good way to detach. Well, maybe not detach, but experience something different. Americanah by Chimamanda Ngozi Adichie: This is one of my favorite novels. Chimamanda Ngozi Adichie beautifully tells the story of a young woman’s life in Nigeria and the US. Extremely Loud and Incredibly Close by Jonathan Safran Foer: Read this one for a good cry, and for the incredibly innovative style of Jonathan Safran Foer. American Gods by Neil Gaiman: This book will really make you rethink the legends and mythology you think you know, putting a dark and fascinating spin on familiar themes. It’s a really fun escapist read. What’s the thing you believe to be true that few other people agree with? I think something really central to what we're trying to do with Neopenda, is that we believe we can build a sustainable social enterprise. A lot of people don't believe we can do that, especially in low resource settings. They're sort of stuck in the mindset of nonprofits and donation models. We strongly believe it's possible to do good, and do well, at the same time. 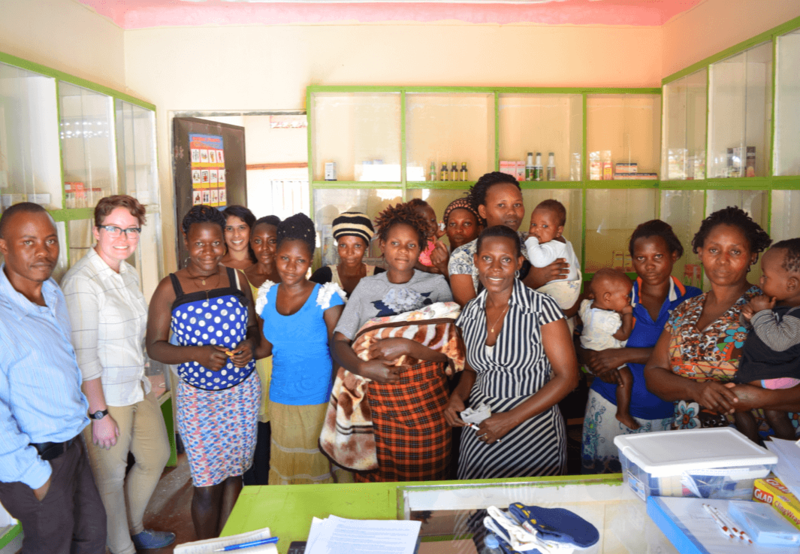 I invested because I believe this new medical device (Neopenda) will make a quantifiable difference in caring for vulnerable infants in low resource settings, and with greater ease for their understaffed health care providers.